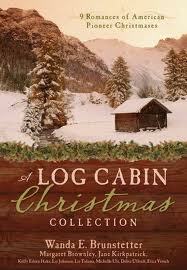 A Log Cabin Christmas Collection is an anthology that contains nine novellas with Christmas and a log cabin as their common theme. The creativity and uniqueness of each story is heartwarming and compelling. This book has topped the best seller lists and deserves to do so. If you want cozy romances that take place in pioneer America, then this book will be a great one to cozy on up to on a winters day. Christmas Service by Erica Vetsh. There is not one dud in the bunch and it has been a New York Times bestseller for good reason. All the stories will leave your heart just a little warmer this holiday season. Thank you so much for the great review! I’m glad you enjoyed it. I found this site very interesting and I just wanna say thanks. I hope you keep up the great work! What a pleasant surprise it was to come across this wonderfu review. Thank you SO much!